Joyce Meyer, age 87, passed away on Monday, April 8, 2019. She is survived by her son Brian and Beth Ann Meyer; two grandchildren: Ava and Bryce; sister, Gezella Boekeloo; in-laws: David and Joyce Meyer, Carl and Dorothy Meyer, Marcia Van Dommelen, Ruth and Calvin Ritsema, Jean Hinken, and Kathleen and Richard Meyer Van Dyke. Joyce was preceded in death by her husband of 46 years, Bill; sisters, Harlene and Howard Kraker, brother, Gerrit Boekeloo; and in-laws, Daniel Meyer, James Meyer and Doanne Link. 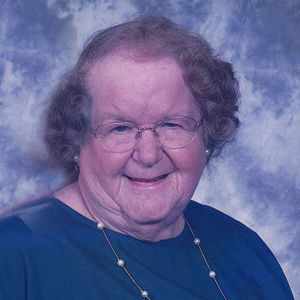 She was a member of Christ Memorial Church and was formerly a member of Maple Avenue Christian Reformed Church. A memorial service will be held at 11:00 a.m. Thursday, April 11, 2019 in the chapel at Christ Memorial Church (use entrances D & E) 595 Graafschap Rd., Holland. Interment will be in Restlawn Memorial Gardens. Memorial contributions may be given to Christ Memorial Church. Add your thoughts, prayers or a condolence to Joyce's guestbook.